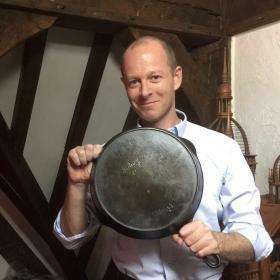 History of cookware, how has our cookware evolved over time. Evolution of cookware, some things we don’t give a second thought. Like how did our cookware evolve from stone and turtle’s shells, to beautiful enamelware, cast iron and stainless steel. We love our cookware at Boonie Hicks, especially our enamelware, cast-iron and ceramics. They are not the most modern of cooking surfaces in-fact cast iron dates back thousands of years. Cast iron, enamelware and earthenware are not only function but beautiful as well. So how has our cookware changed throughout history? Let’s start at the beginning. When did humans first use fire to cook? First, humans needed to discover fire. The first thing necessary our primitive ancestors had to discover was fire, so they could cook the game they hunted. So placing a morsel of raw flesh on a stick and searing it over a fire must have been exhilarating for primitive man. Moreover fire provided warmth and light. When did humans discover fire and use fire to cook food? Evidence of humans using utilizing fire has been found at Israel’s, Qesem Cave dates back 300,000 to 400,000 years. In the cave a hearth was discovered. This shows that there was most likely a fire continuously burning in the cave. Why is a permanent fire pit important? It tells us the inhabitants most likely were not nomadic hunters and gatherers. However a cave in South Africa suggests that ancestors of humans were using fire 2 million years ago. So when did primitive humans first cook food? Possibly 1.9 million years ago however this is debated. Unfortunately fires don’t seem to leave much behind for archeologists to sift through. If calories were important why did primitive humans cook food? Not only does meat taste better when cooked it also kills bacteria. Importantly meat would have been hard to come by. Hunting game with very primitive tools would have been extremely dangerous and come with great risk. Humans knew cooking extended the storage life of food. Secondly, cooking food breaks down protein and plant cells, making food easier to cut, chew and digest. Eating raw meat burns a lot of calories therefore cooking meat provided essential calories for survival. There are even theories, cooking food was instrumental in the development of the human brain and lead to the evolution man. Evolution and history of cookware, probably had a slow start humans were busy hunting and gathering. Early tools humans used for primitive cooking were sharp stones for cutting and rounded stones for grinding. Hunters and gathers used some tools to prepare food. Most likely they used stone tools for cutting, while grains and nuts were ground between stones. Meat was probably cut thin so it could be digested easily and also cooked quickly. When did humans first boil water? When humans started boiling liquids probably at a much later date than cooking meat however some think Neanderthals were able to boil liquids using birch bark. How did early humans boil water? They probably used a method called stone boiling. What is stone boiling? Let’s find out. However evidence shows early were using stones in fire pits and was most likely to way early humans boiled water. This method is called “Stone Boiling” a method which stones are heated in a fire. Once the stones are hot they are transferred into a vessel containing liquid. The video demonstrates how early man may have boiled water. Stone boiling was a huge discovery. Stone boiling provided humans with clean drinking because boiled water killed bacteria and purified stagnate water. It was a huge discovery, stone boiling would have provided new cooking methods using water therefore humans could start boiling vegetables and meat. Boiling liquid was more important than you think. Stone boiling which made water safe for humans to drink also evolution of cookware continued to develop since humans needed containers to store their water. They would have used early pottery. These early bowls soon after placed on fires cooking food and used for boiling liquid. The evolution of cookware would have taken a giant leap was the use of “Earthenware” and “Earthen-oven” to contain fire. However humans also used tortoise shells, bulky, stones with the center scraped out by hand and early pottery. Out of Asia they also used cut bamboo and sealed it with clay to protect it from fire. Stone boiling has several draw backs which probably lead the evolution cookware and new cooking methods. Evolution of cookware changed the way we cook. Stone boiling was an early step for humans to use containers for cooking. Earthenware kept food ash free and could be placed on a heat source. While earthen ovens contained fire reducing the amount of fuel needed each oven also has very good thermal mass to contain heat. So want to try the Peleo Diet? It’s not want you think. Although humans could boil water the diet was still mostly meat based. Not the image we have of the Peleo Diet of picking berries and eating nuts. During the Paleolithic Age fruit and vegetables would have looked very different and a fraction of the size of the fruit and vegetables today. Its wasn’t until the Neolithic age which is characterized by humans widely adopting agriculture that we moved more to a plant based diet. During the Neolithic age humans would have started to cultivate soil and practiced seed section for bigger and tastier foods. Earthenware pottery was the first step in the evolution of cookware. Earliest examples of pottery show it was first used in China and spread throughout the region before knowledge travel West. Who knows when pottery was first used for cookware. However archeologist have from ceremonial pottery dating back 25000-29000 BCE. The earliest known pottery vessels to date have been found in China and Japan. It is most likely that early pottery techniques move from East to the West. To this day Japanese and Chinese make some of the most beautiful hand crafted pottery and some of the most sort after examples often have imperfections which makes each piece uniquely beautiful. In the Neolithic Age early cereals were cultivated. Next to and in the earliest pottery discovered in China, archaeologists found millet which is one of the earliest cereals humans grew. Which was an important food source during the time. Earthenware cookware would have been used and millet added to soups used in Asia and Africa. Moreover earthenware would be used to boil cereals in Europe. However Emmer wheat, Einkorn wheat and barley were cultivated for food. If you’re interested http://www.visual-arts-cork.com/pottery.htm has a fascinating timeline on ancient pottery. As time went on people discovered open firing, a process which clay is a heated to a temperature between 600-900 degrees celsius. A technological leap in firing lead to the development of the basic kiln which allows pottery to be fired at a higher temperature. 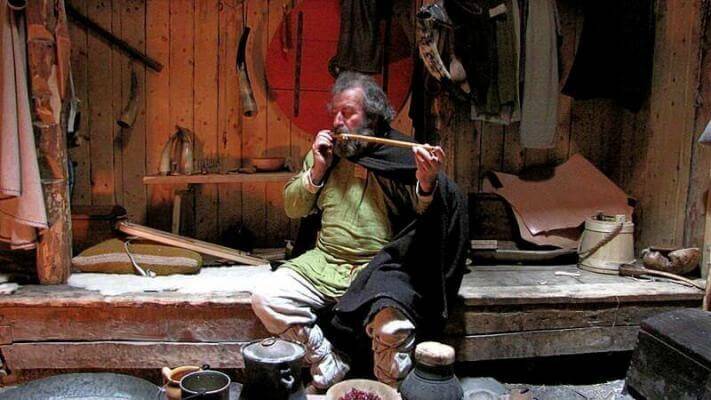 Higher temperatures would later lead to the discovery of ceramics and porcelain. Today ceramic cookware is the first choice for oven based meals. Although ceramic cookware or earthen pot is not often used on direct heat sources such as stove top cooking especially in the West. However in Japan the Donabe is the pot of choice for the popular winter dish Nabe. There’s are good reasons why we don’t use most ceramics on the stovetop. Even with more modern advances in technology most ceramics cookware have two major drawbacks. Firstly, most clay based cookware can’t be used on direct heat in modern kitchen equipment or they must carefully monitored, ensuring enough liquid is in the pot to prevent breakage. 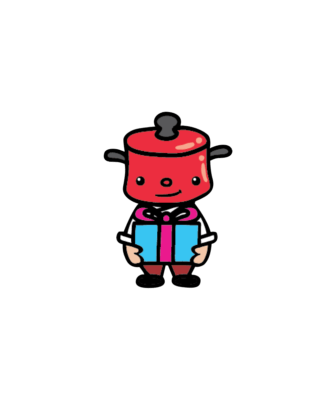 Secondly, ceramic cookware is a poor conductor of heat and will have hot spots. This is why ceramics are best used in oven where the temperature is controlled and even. Evolution of cookware enters a new age, “metalware”. Copper was first fashioned into tools around 9000 BCE. It was thought to be perfected by the Mesopotamians around 4500 BCE. Copper was the first metal used by man on scale. Historians don’t know when exactly copper was first used as cookware but it has been well documented the Egyptians Greeks and Romans all used copper. The metal was also easy to work and could be rolled into sheets. Unlike iron which had to be forged into shape while hot, copper could be beaten into shape while cool. Copper is an excellent conductor of heat. Copper cookware was popular for centuries. In colonial America copper cookware was used although it would have been more expensive than cast-iron. Major cities would have coppersmiths or tinsmiths to work copper into cookware. They also re-tin old copper cookware. 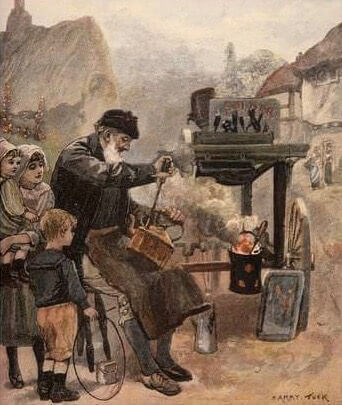 In towns too small for coppersmiths there was another profession that repaired copper cookware. They were called “tinkers” Tinkers were travelers and made their living by traveling from place to another repairing pots and pans. Enter our beloved cast iron, which dates back to the 5th century BCE in China. Cast iron is a cheaper version of steel and was first used for pots and pans and farming equipment. In the 1st century China developed the blast furnace. It wasn’t until the 15th century the first uses of cast iron were used in Europe. Europeans and Americans first used cast iron for cauldrons. “Here” an interesting article on the benefits of cast iron if you want to know more. Although Europeans did not use cast iron until the 15th century. Prior to this cast iron was brittle and was only utilized when technology advanced and the casting process improved the quality and strength. 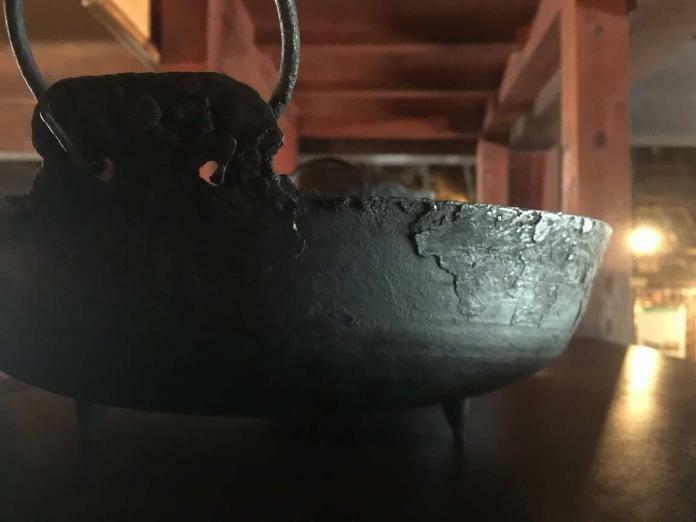 Instead early Europeans used smelting techniques and iron hammered into bowls and cookware. Cast iron on the other hand was poured into a mold. However cooking techniques remained similar in Europe and Asia. 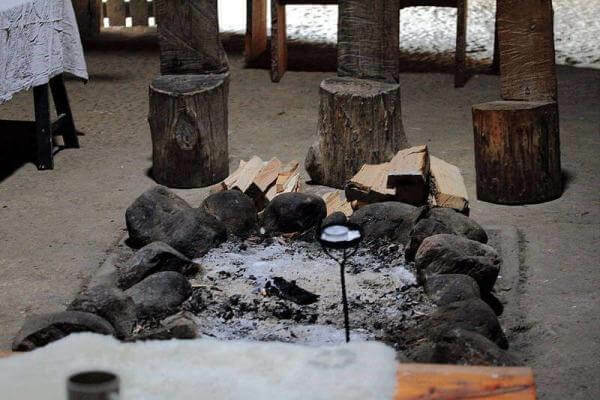 Food was cooked on a hearth over open flame. Cookware was used on open fire right up to the invention of the wood range. Since metal cookware was used on open flame certain features were added to help the user and prevent food burning. Handles so cookware could be hung on a pole over the direct heat but not in it. Rings were also used to hang cookware on a pole out of the heat. Longer handles to slow heat being quickly transferred to the handle. Feet to lift the cookware out of the hot coals. What was the cookware of choice? Although people did fry their food meat was a luxury until the advent of mass farming and refrigeration. Many family raised their own livestock and preserved meat and many urban households kept backyard chickens. The Dutch Oven was the cookware of choice. the Dutch Oven was the perfect cookware. People ate a lot more porridge, stews and soups then what we eat today. The Victorian Era saw a huge change in the Evolution of cookware and the New World raises as a manufacturing and agricultural powerhouses. The industrial revolution would change the world forever. Rapid urbanization in England saw the raise of the population, rich, middle class and the poor. There were huge achievements in technology and scientist and inventors were the celebrities of the day. In America there was also huge growth it it become the factory to the world. Foundries such as Favorite Stove and Range, Griswold Manufacturing Company and Wagner Manufacturing Company which started as tiny business later would become huge manufacturing powerhouses. While in the South Pacific, New Zealand, Australia and South Africa specialized in Agriculture suppling food to the increasing population of England. People still cooked on fire however and used mostly Dutch ovens. However as people become wealthier many changed how they cooked from open fire to wood ranges invented by Benjamin Franklin. In 1826 an English inventor called James Sharp received a patent for the gas oven. In 1892 the Electric range was invented by Thomas Ahearn. Soon Long handles on cookware were replaced with short ones. Hanging Rings were no longer needed. New handles on Dutch oven were designed to make it easier to be carried in and out of the oven. Also with readily supply of meat diets slowly changed and frying became more popular. By the 20th century skillets replaced the Dutch Oven as to go to pan in the kitchen. Evolution of cookware continues to this day with many modern developments and metal alloys. I grew up in a house using aluminum and later teflon. In hindsight both materials may not have provided a safe cooking surfaces but we weren’t to know at the time. We certainly have progressed in the development of cooking utensils. However ceramic dishes and cast iron still remain extremely popular choices because of their durability. Stainless steel is a great option, it’s now the go-to cookware in commercial and many households. However the higher quality equipment can command a higher price. Evolution of cookware, from basic tools to modern utensils. Over the last couple of centuries, the introduction of a variety of metals like iron, copper and aluminum have entered the marketplace. Stainless steel is now a favorite cookware material for many due to its shiny luster is also non reactive to acidic foods. Each metal or ceramic product has its advantages and disadvantages. Some pans heat up quicker than others, some distribute the heat more evenly. Whatever your need, there is cookware for everyone we can thank our ancestors for this. We prefer the traditional ways of cooking our grandparents cooked, thats in cast iron and ceramics. However, there really is so many different choices. For us, the most important factor is the enjoyment you have from cooking. Next articleLodge 12 inch skillet. Your best skillet for every day use.